We usually hear these reactions and questions to “preggy-mom-carrying-twins stories”. How does she cope? How is she going to deliver the baby? Is it heavy? Can she breastfeed and have enough supply for her two angels? Everything seems amplified when you are carrying multiples. More than the heaviness you feel during pregnancy, raising and nurturing two or more babies at the same time poses a great task to you and your partner. Getting support from your partner, family and friends will definitely help you prepare and get through with the challenges especially during post-pregnancy. I am very thankful to have a very supportive partner who encouraged and helped me during my 2++ years of breastfeeding. The friends I “met” online who were very kind to share their breastfeeding struggles and lessons to moms also played a crucial role in strengthening my resolve to continue giving the best to my son. Looking back, there is one thing I really should have done when I was still pregnant with my first child. Attending a seminar on breastfeeding and being a part of a support group should have been included in my to-do list. There is a different sense of belonging and hopefulness you feel when you are a part of a group. One also gains a certain feeling of accountability after participating in support groups. You will be more inspired to check on how your groupmates are coping with their respective breastfeeding journeys. 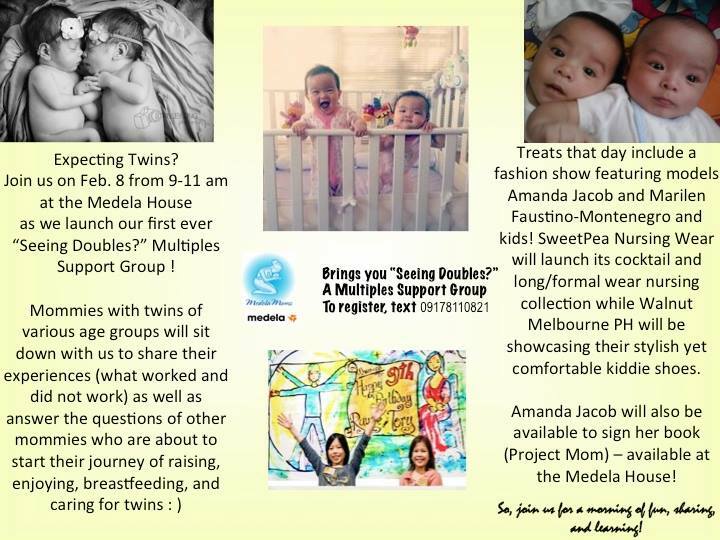 Calling all couples who are expecting multiple joys, do grab this opportunity to be part of MedelaMom’s “Seeing Doubles” Multiples Support Group. It will be launched this coming Saturday, February 8, 9:00 a.m. - 11:00 a.m. at the Medela House in New Manila, Quezon City. Get ready to listen to mommies with twins as they share their experiences carrying, giving birth to, breastfeeding and raising multiples. This event is free of charge but attendees need to pre-register by texting or calling 09178110821 or sending an email to medelamoms@gmail.com to experience the first support group for mommies of multiples in the country! Giveaways, special promos, candy buffet, and other treats in store for participating mommies. 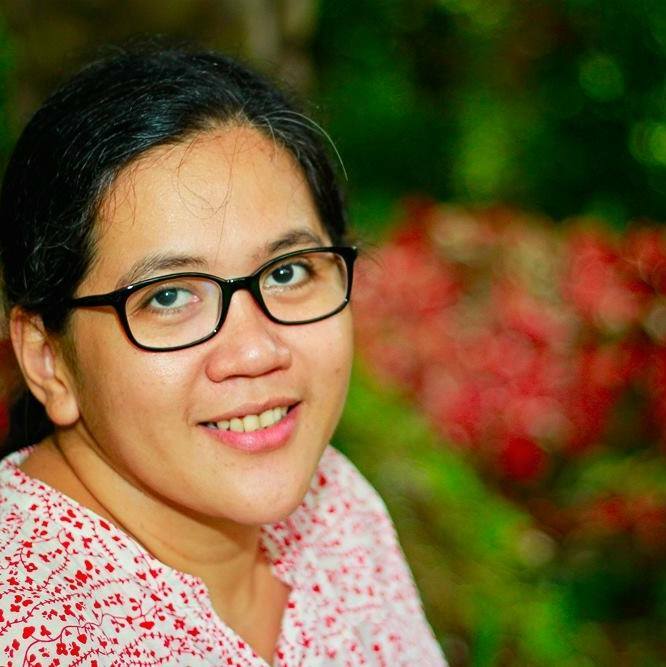 Nanays, are you expecting multiple joys? Do you have friends who are carrying twins or multiple babies? Come and join this wonderful learning event and meet amazing Medela Moms!